Tiny satalite with antenna and solar power? Launcher to bring it to space? 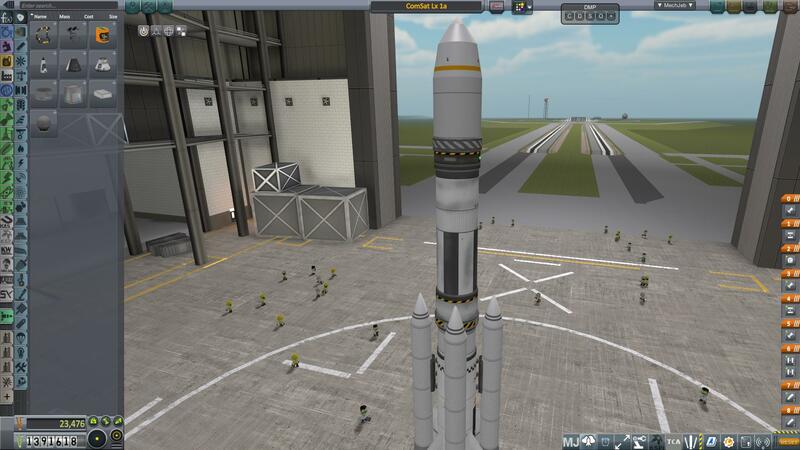 A mod rocket called ComSat Lx 1a. Built with 30 of the finest parts, its root part is probeCoreOcto.